Actress Hannah Simone attends the Entertainment Weekly and PEOPLE celebration of The New York Upfronts at The Highline Hotel on May 11, 2015 in New York City. 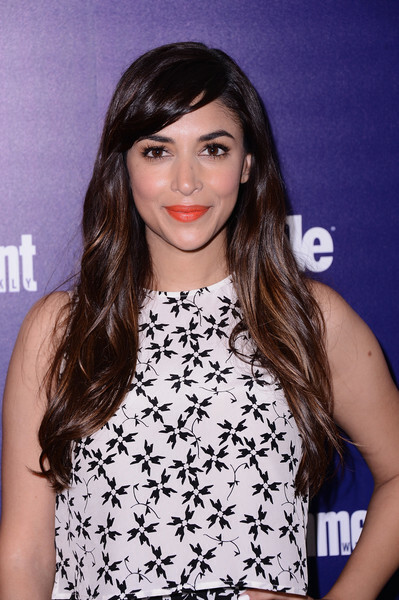 Hannah Simone's orange lipstick popped brightly against her monochrome outfit. Hannah Simone wore subtle waves and side-swept bangs when she attended the Entertainment Weekly and People celebration of the New York Upfronts.